All three dresses by me! I didn’t mean to coordinate colors but I guess we can all tell what color palette was on my brain during the last 12 months. 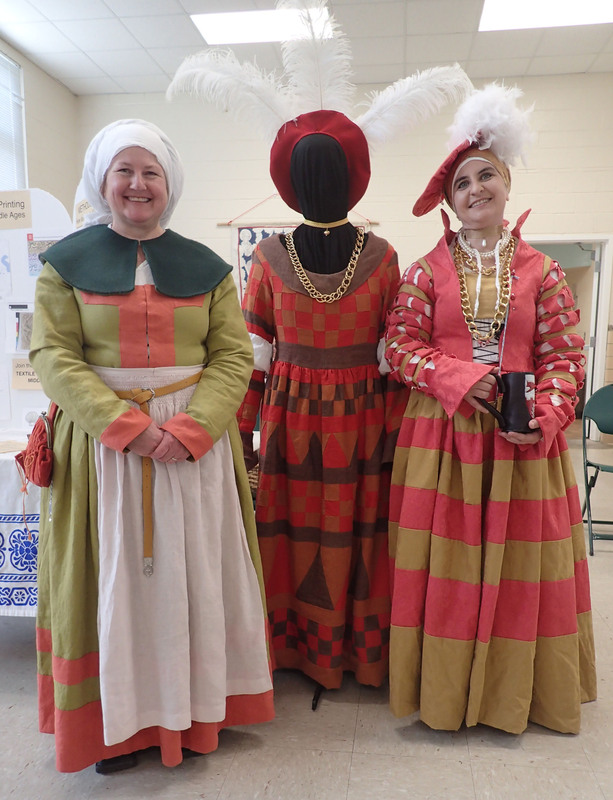 Left to Right: me in Landsknecht, the dress dummy is wearing a Masquerade dress based on an illustration from an unfinished manuscript commissioned by the Emperor Maximillian, and Baroness Esperanza is wearing a Cranach Princess dress inspired by Sybille, sister to Anne of Cleves.